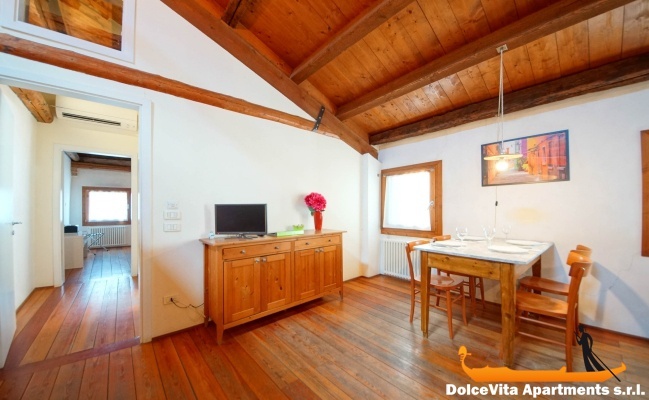 Apartment N. 162: It can accommodate up to 4 people, it is rented from 69 € per Night (not per person). 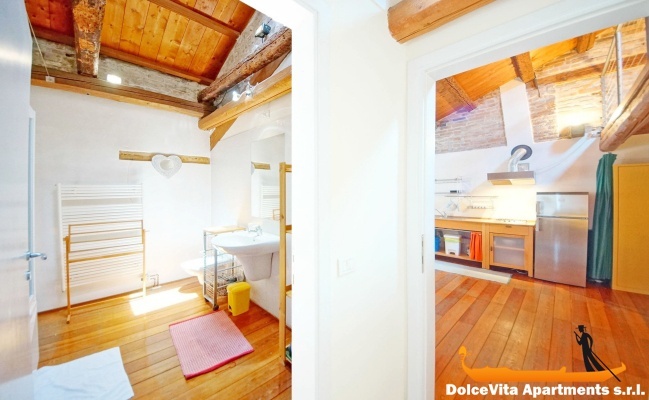 Venice Apartment Canal View for 4: This bright apartment of 60 sqm is completely attic and is in the heart of Venice. The entrance is in a typical Venetian square with the shaft. 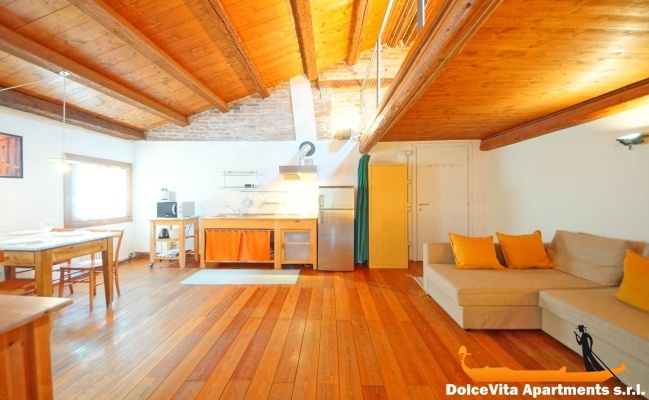 The apartment is on the third floor of a building dating back to the eighteenth century, is characterized by ceilings with exposed beams. 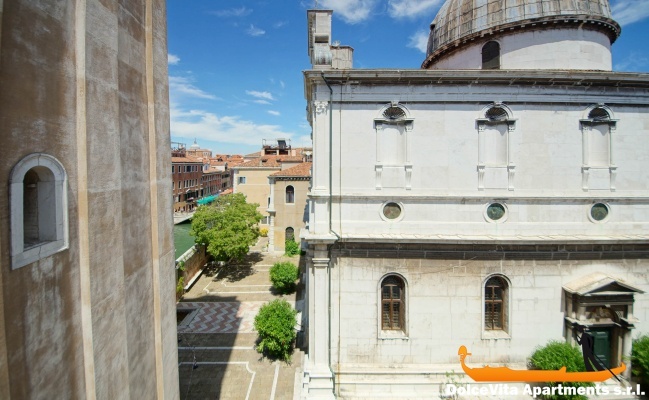 Then there is a double bedroom with two windows overlooking the canal, bathroom with skylight, a living room with a view of the church of the Greeks with sofa bed and kitchen and television. 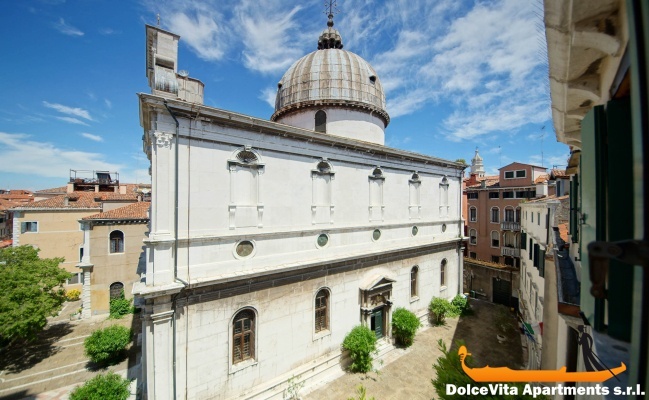 Apartment very well located, just minutes from San Marco square. I was a customer for the third consecutive year of the apartment. Its layout is original, its position is strategic compared to the city center, the panorama below is beautiful. Functional even for 4 people. Inside the facilities are sufficient even for a prolonged stay like mine. The apartment rating was 5. The apartment was in a fantastic location and spotless. It was spacious and exactly as described. The key to the front door was tricky to use and it would have been useful if there were blackout curtains in the bedroom but apart from these minor observations the flat was delightful. Beds good and large enough for two persons per bed, the bed on the galery should be cleaned , not enough plates,glasses, forks and knifes_for 6 persons.Electricity is a bit hazardous, should be enhanced. 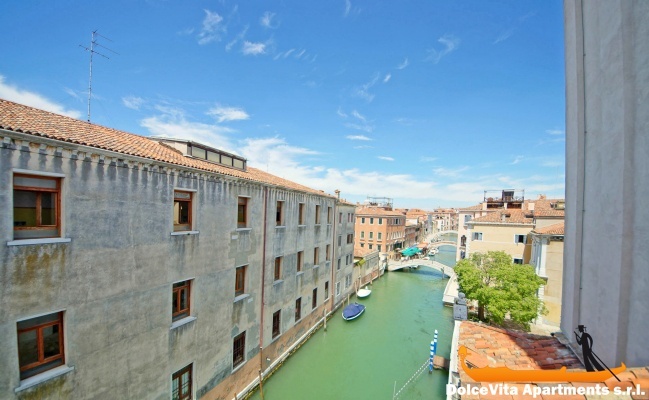 The apartment 162 is located in the city center, 5 minutes from St. Mark square, in a quiet area and the canal, on which it overlooks, is silent. 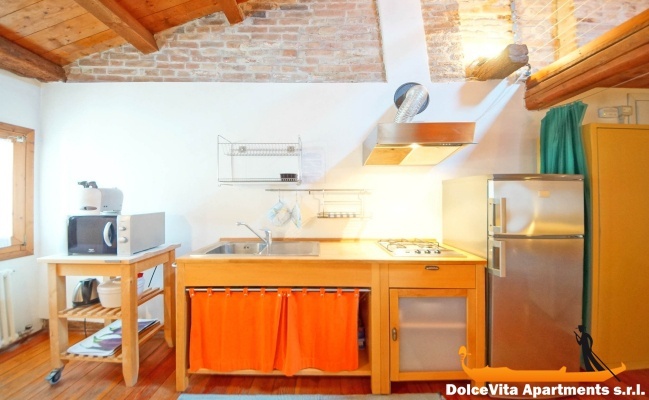 Inside, the space is not lacking, the rooms are spacious and basic, functional furnishings, all clean and well kept. 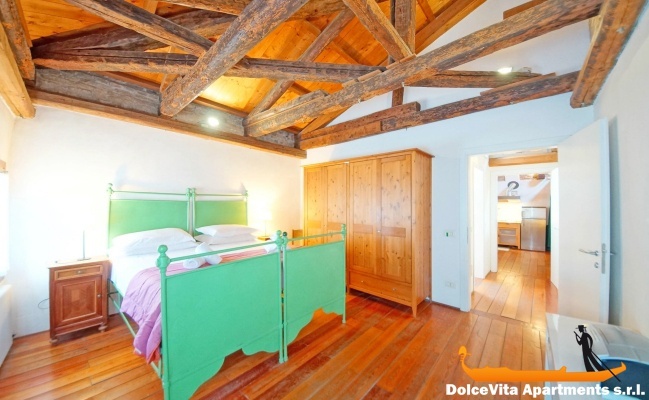 The wooden floor, as well as the charming attic with exposed beams give to it a certain charm. The apartment is well heated and equipped with excellent windows which we enjoyed on cold days we stayed. Online services are very efficient and timely in every phase: info-booking-payment-logistics-etc. very warm welcome: the responsible for check-in was kind enough to dedicate a bit of her time to provide us useful information for the stay in Venice, in addition to have shown well the apartment. Overall we are very satisfied with the service. 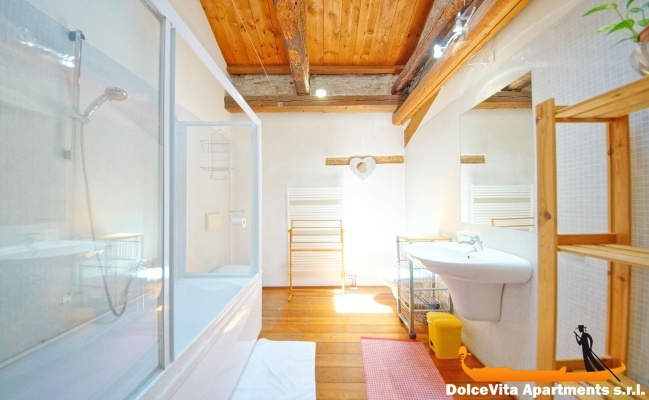 The judgment about the apartment was positive for position, order, cleanliness, tranquility and structure. It 's a little lacking in the kitchen (plates and cups). For me that I have been for a month, I felt the lack of an oven and a washing machine, but I understand that for shorter periods, it would be excessive. The apartment is really nice however some things are missing. Otherwise it’s a very nice apartment. 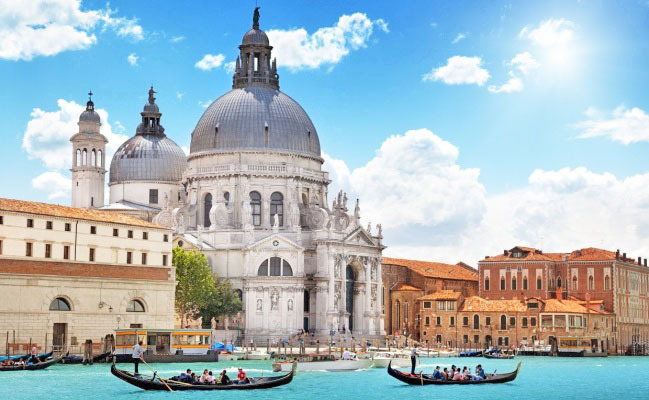 Booking this very comfortable apartment in Venice was easy. From initial enquiry, paying a deposit, questions on how to get from train to apartment were always easy and replied to promptly. We were met at the ferry by a lovely English speaking girl and taken to the apartment, shown around and final payment made. Everything supplied, clean, a quiet apartment block and a great location. Comfortable beds, plenty of hot water, air-conditioning that was a saviour on such hot days, a full fridge and kitchen making cooking dinner easy. I would stay here again and recommend your service to friends. Many thanks for making this part our Italy trip comfortable and hassle free. The apartment is perfect. 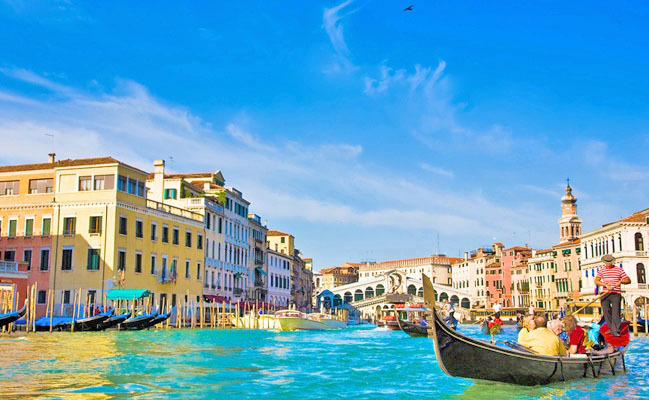 its location is very good 5 minutes from San Marco. 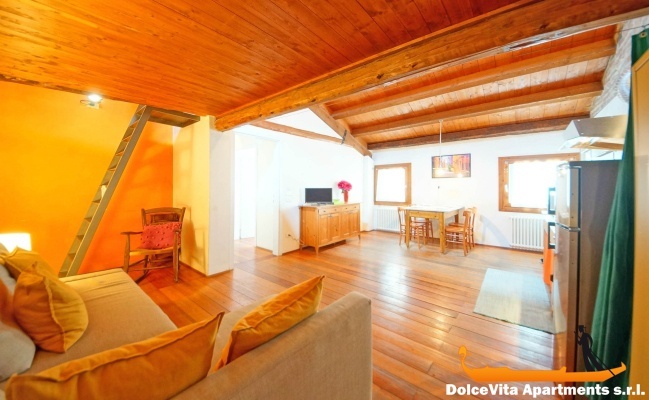 The apartment is very spacious, perfect conservation, all well as on the photos. Our contact Marco met us at the exit of Vaporetto, it was very good. It is very well placed. I'll recommend it to others. Great location and quiet; spacious. Good service and welcome. 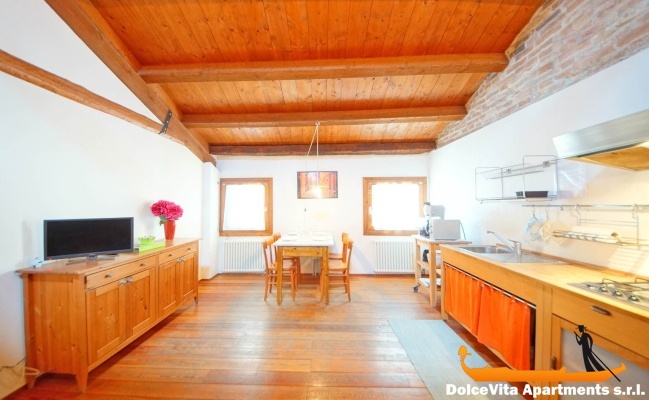 Ideally located, very quiet, charming, spacious, well equipped ... 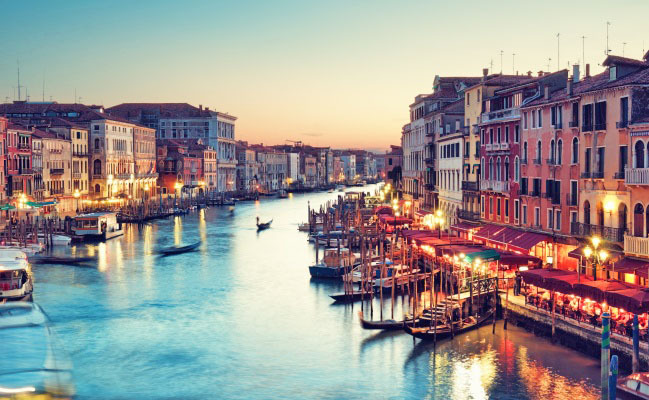 It's really an address to remember in Venice! We were very good. The apartment is very bright, clean and the district where it is located is very beautiful.